Beach Food Fridays and Saturdays is a summer event with food trucks and sometimes even live music on the beach at the Colwood Waterfront by Esquimalt Lagoon. Officially called Beach Food Fridays and Saturdays at the Colwood Waterfront, this is a weekly occurrence that runs from early May until late September on the last two days of the week between 11 am and 7 pm. Beach Food Fridays and Saturdays at the Colwood Waterfront is fairly new, so not a lot of people know about it. As a result, it’s not a massive event with crowds of people. It’s at an exceptional location, however, that’s beautiful to visit on any sunny day, especially in the summer. The food trucks make picnicking on the beach that much simpler, and when there’s live music the experience can be exceptional. Beach Food Fridays and Saturdays is a fairly simple affair with just two or three food trucks at the side of the road, a couple of picnic tables, logs on the long sandy beach and stunning views of the ocean. It’s a beautiful spot. Things to do at the event include relaxing on the beach, going for a walk, enjoying your food truck picnic, admiring the views and just plain enjoying the spectacular area and the people you’re sharing it with. A bonus activity at the Beach Food Fridays and Saturdays event is the live music which took place occasionally in 2016 but happens slightly more often as of 2017. Most days, for at least a bit of the scheduled 8-hour time of the event, a local band plays on the beach. If you’re there when there’s the live music, it’s a real treat. Beach Food Fridays and Saturdays takes place on the beach off Ocean Boulevard at the far southeastern tip of Esquimalt Lagoon in the municipality of Colwood. This makes it close to a 15 km drive from downtown Victoria, or a 25 minute drive (depending on traffic). To get to Esquimalt Lagoon and the food truck event head to Colwood and turn left onto Ocean Boulevard just past the Juan de Fuca Recreation Centre which is located at 1767 Old Island Highway. As you go along Ocean Boulevard you’ll see signs to Fort Rodd Hill and Fisgard Lighthouse, which are great places to visit along the way. Instead of turning at Fort Rodd Hill Road to go into the fort, however, just keep going. After driving for a bit, before long you’ll cross a small bridge and then a long skinny stretch of land. The ocean will be on your left, Esquimalt Lagoon on your right, and at the far end of the skinny stretch of land you’ll see a couple of food trucks at the side of the road. That’s where you’ll find the Beach Food event on Fridays and Saturdays in the summer(weather permitting). Esquimalt Lagoon is a salt water lagoon not far from the National Historic Site of Fort Rodd Hill and Fisgard Lighthouse as well as Royal Roads University and Hatley Castle. You can see Fisgard Lighthouse in the distance from one end, and if you face away from the ocean you can see Hatley Castle up the hill. What’s especially attractive about Esquimalt Lagoon is the sandy beach and ocean views. The area is a popular site for picnicking, birdwatching and hanging out at the beach. There are logs to sit on and views of the Olympic Mountains in Washington State across the water. For further details about this summer weekend event see Colwood’s Beach Food Fridays & Saturdays website. For a list of other Greater Victoria events throughout the year, click Festivals & Events Calendar. 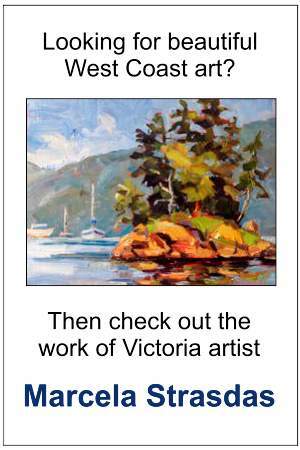 Thanks for finally writing about >Beach Food Weekends at Esquimalt Lagoon – Victoria’s Best Places <Liked it!